Beginning April 21, 2015, Google began penalizing websites that are not “Mobile Friendly”. This means that when someone uses Google to search for a product or service, the sites that can be viewed easily using a mobile device (i.e. cell phone or tablet) will be given preference over those that are not. What this means to you as a business person/website owner, is that if your website isn’t mobile friendly then you’re going to lose out on traffic. Additionally, you will notice that your rankings in the search engines will slide, diminishing the amount of traffic you will receive. According to surveys, nearly 60% of all website visitors are viewing web pages on some type of mobile device. Based on this survey, the use of mobile devices has begun to outnumber desktop computers when it comes to searching for things on the Internet. Google is in the business of providing the best user experience to its users and is now taking steps to improve the search experience for cell phone and tablet users. For starters, your website must be easily readable on a mobile device. This is according to Google, not you. Now you might think that your current website is OK, but if it needs to be resized or a searcher has to move it around on their device, then your site may not be considered mobile friendly. If your site passes, then that’s great! It’s business as usual for you. But if your site does not pass, then you have some work to do. Why Not Create a Responsive Design? The most logical change that you can make to your website is to make it responsive. 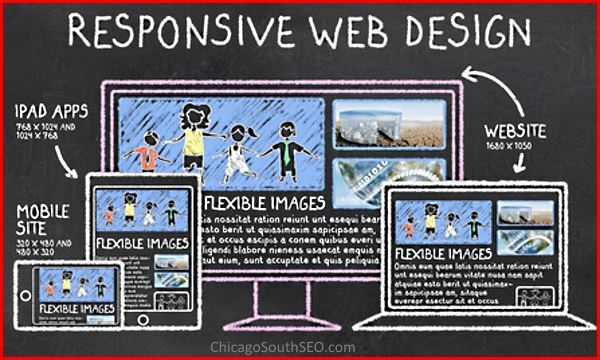 A responsive (or flexible) design is the type of layout that is considered standard for most webmasters today. The benefit of this type of design is that it will automatically detect what type of device is being used and the layout will then adjust the design to fit accordingly, thus making your site easy to read on a PC, cell phone or tablet. You can hire someone to make the changes for you. There are several agencies (including ours) that will be more than willing to help you make your website mobile friendly. If working with an agency is not an option, then you can also do-it-yourself. There are resources on the Internet to show you how. For a copy of my D.I.Y. eBook “The Importance of a Mobile Responsive Website“ use the sign up form in the sidebar to join our mailing list. You will receive a copy instantly when you have confirmed your subscription. Not sure if you can accomplish this yourself? Then contact us.